When I started with the ukulele, I looked around newsagents for magazines, hoping to find pearls of wisdom amongst the WH Smith shelves. There are many guitar and music magazines, sometimes there might be a ukulele advertised amongst there, but that's about it. Then, finally, in 2015, UKE magazine was born. 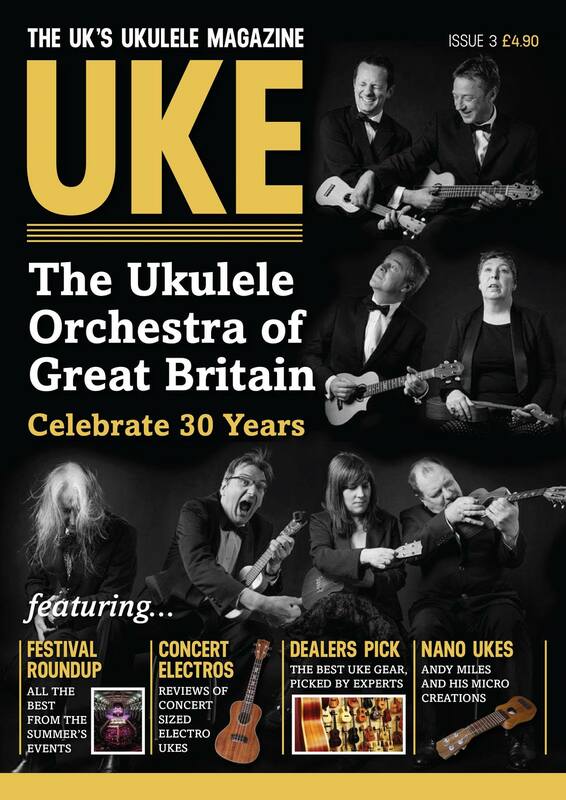 Published by WorldOfUkes who amongst other things, organise some fun ukulele events, the editor is Matt Warnes, also of Omega Music fame. He's also something to do with the pair of lunatics known as "Feckless & Fuddle". The magazine appears to not be heavily supported by advertising, although there is some, but principally by the cover price and subscription. It's printed on high quality paper and is beautifully laid out, clearly by someone expert in the field of visual layout and tyopgraphic presentation. So far, the magazine has had features on artists like Mike Krabbers, Will Grove-White, Mike Hind and Zöe Bestel amongst others, and the forthcoming issue (Iss. 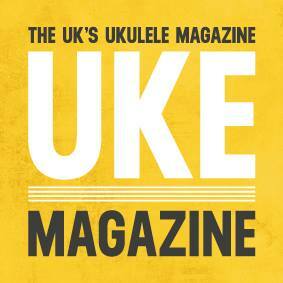 3) will feature the Ukulele Orchestra Of Great Britain. There are tabs to learn, tips, features on types of ukuleles, all sorts of things. My Bryn Munford custom ukulele has even featured. At 60 or so pages, it's not a half-hearted publication, but something that I hope will continue for time to come. One criticism - maybe there are not enough cats, but that might be fixed in a future issue. The photography is excellent too. There have been some obviously expert contributors to the magazine.